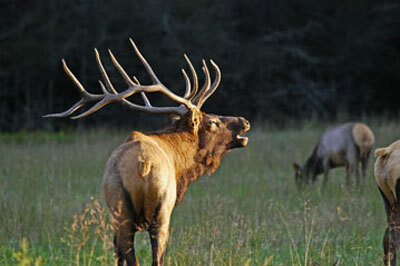 Cut elk steak into 3″ by 1″ strips; brown in olive oil in skillet. Transfer to a slow cooker. Combine next 8 ingredients; pour over elk steak. Cover and cook on low for 5-6 hours or until elk is tender. Add green peppers; cook for 1 hour longer. Combine water and cornstarch to make a paste; stir into liquid in slow cooker and cook on high until thickened. Serve over noodles or rice.